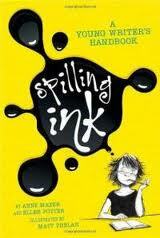 Spilling Ink: A Young Writer's Handbook by Anne Mazer. Illustrated by Matt Phelan. Nonfiction. 288 pages. There are specific suggestions here but the entire work comes off more in the style of coaching or of a veteran sending back stories from their own experiences. It has just the right tone of encouraging and inspiring without intimidating the reader. It blows lightly but quite decisively on the embers of inspiration. Read More. 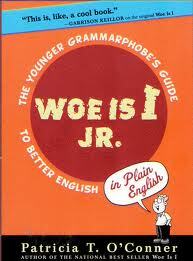 Woe is I Jr.: The Younger Grammarphobe's Guide to Better English in Plain English by Patricia T. O'Conner. Illustrated by Tom Stiglich. Nonfiction. 176 pages. This is the kids' version of the very popular Woe is I for adults. O'Conner brings the same lighthearted, witty style to this book. From the basic to the tricky this engaging book covers pronouns, punctuation, word order and more. Good for kids in about fourth grade up through high school. 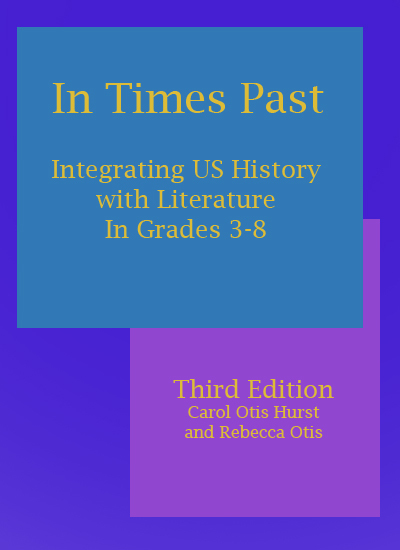 These book reviews by Carol Otis Hurst first appeared in Teaching K-8 Magazine. This book is far from new, but it has some wonderful techniques for helping readers interact with text. Atwell, Nancie. Coming to Know: Writing to Learn in the Intermediate Grades. Nancie Atwell has compiled a series of articles about reading in the content areas. Scarffe, Bronwen and Lorraine Wilson. You Can't Make a Book in a Day. Illustrated by Philip Gray (Robert Andersen Assoc. 318b Glenferrie Road, Malvern, Victoria, Australia ISBN 0949133183). This import from Australia is a good resource for whole language work. With all the emphasis on writing in libraries and classrooms, we need such books as this which, in very clear format, outline ideas and suggestions for turning kids' writing into published books. There are chapters on: the role of the teacher in keeping in touch, developing awareness, steps in publishing, the classroom publishing area, making contact with authors and publishers, and some ditto masters for decision making. There's also a very good bibliography. If the process has been defeating you, this book may offer some help. Ethel Buchanan's Spelling for Whole Language Classrooms (Whole Language Consultants, available through Richard C. Owen, 1989 ISBN 0921253176) is an attempt to make connections between a theory of spelling development, instruction and evaluation. Phenix, Jo and Doreen Scott-Dunne. Spelling Instruction that Makes Sense. The Moon and I by Betsy Byars. A related kids book review.